The Galvanizers Association Galvanizing Awards took place yesterday in London at the Royal Aeronautical Society. 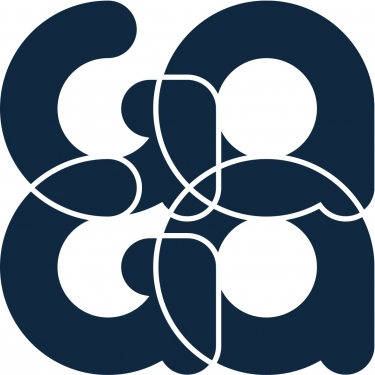 Denis Byrne Architects received Honourable Mention for Bord Gáis Network Services Centre in Dublin and 3 other Irish projects were shortlisted for GAGAs. It was a great day and lots of amazing galvanizing and architectural projects were celebrated. The Bord Gáis Network Services Centre is located where fragmented urban development and infrastructure meets rural landscape. 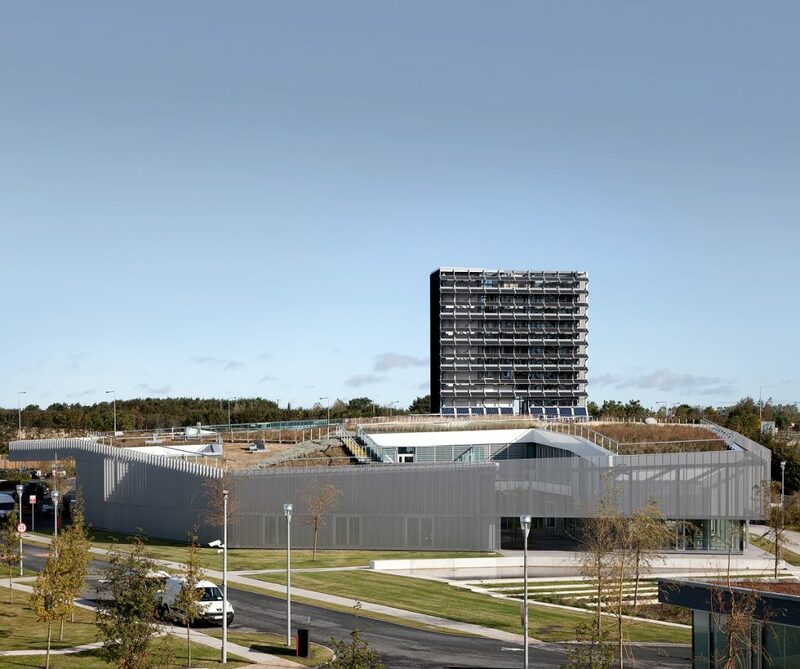 Strategically placed in direct proximity to the M50 motorway, the 5,200 m2 building consolidates the Dublin operations of Bord Gáis Networks in one single location. The new Network Services Centre is set in a recognized landscape reaffirming the rural settlement pattern of compound and landscape at the fringes of the city. In the new building, a series of colour-themed courtyard gardens provide orientation and amenity spaces for the staff. A wooden boardwalk on the roof gives views to the surrounding area and a close experience of the green roof. Taking its inspiration from industrial and infrastructure buildings and combining it with sophisticated office environment, the building forms a utilitarian landmark providing a common base for its diverse operational activities. Organised over two levels with sheltered gardens, office areas, and emergency control centre, training facilities and stores, the building enables a highly flexible and inter-departmental work environment. A layer of perforated aluminium panels wraps the building and is held off the waterproofing membrane by a secondary system of galvanized steel supports and brackets. The tower element, containing plant and equipment, is constructed of galvanized structural steel and left unpainted. The environmental strategy of its low energy design combines improved microclimate, landscape, water management and biodiversity with a compact, highly insulated building volume. 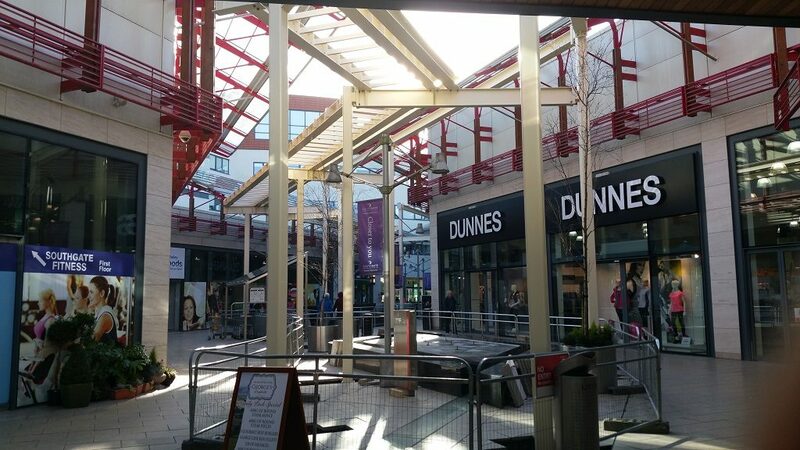 In 2009 Longfords manufactured and installed cantilevered canopies at Southgate Shopping Centre, Drogheda. This canopy served as an aesthetic device rather than providing any meaningful shelter. In 2016 the occupier of the building made the decision to completely enclose the shopping centre by erecting a central canopy. The original structure was not designed to bear this additional weight. The new section of canopy had to be self-supporting, incorporating a raised walkway for maintenance and service. Hot dip galvanizing steel was also painted with Galvacoat. Main contractor, Purcell Construction have alongside Peterson Manufacturing have completed the works on the construction of a new National Ambulance Service base in Drimnagh, Dublin. The 1,612 m2 base accommodates the area`s ambulance fleet and provides vehicle`s parking bays with associated canopies. Over 40 car parking spaces are provided, as well as an enclosed motorcycle and bicycle structure and internal gates and landscaping areas. Hot dip galvanizing steel was also painted with Galvacoat in Galco Dublin. The boardwalk was constructed as a part of overall River Dargle Flood Defences. 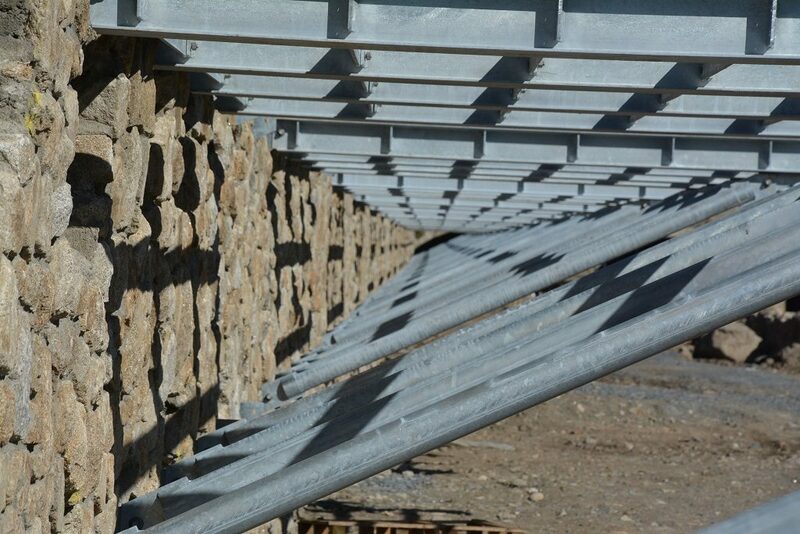 The works included the fabrication and installation of a 190 m long galvanized cantilevered boardwalk. The galvanized steel structure forms a platform, cantilevered off the adjacent masonry-clad sheet-piled retaining wall. 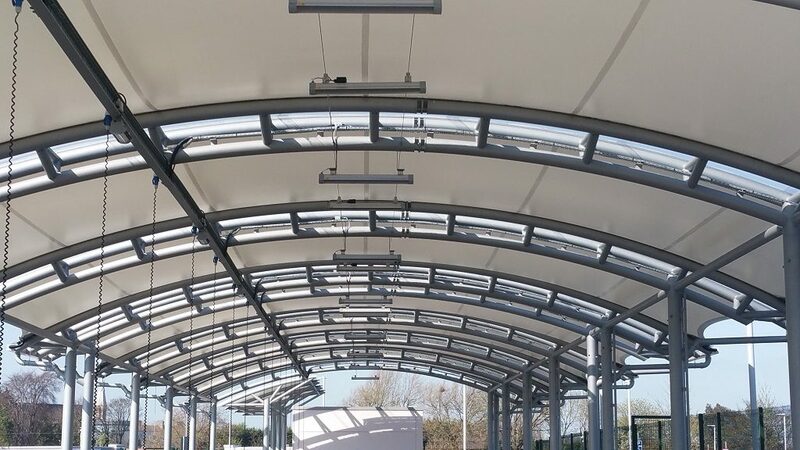 Extra support is provided by galvanized steel raking struts in 1.5 m bays, with additional diagonal bracing struts in every fifth bay.